Still, Jobs wanted a fresh and iconic logo, so he hired Rob Janoff to design a stylized apple with a bite take out of its right side. The bite in the apple is symbolic wordplay, as ‘bite’ is pronounced the same way as the technological expression ‘byte.’ The logo is simple, yet undeniably effective. In the blink of an eye, we recognize countless brands simply based on their logos and visual advertising. Whether it’s Apple, Hyundai, or Goodwill, the largest brands in every industry are invested heavily in outdoor advertising. Why? Because it works. We eat with our eyes first. Did you know that Froot Loops all taste the same? Most cereal eaters think the different colored loops taste different from one another, but the coloring is really just a visual component to make food more appetizing. Studies as far back as the 1970s show our minds absorb presentation as much as our insides absorb nutrients. Similarly, we purchase with our eyes first. We first consider the brands to which we’re consistently exposed. Outdoor advertising in Nashville elevates the chances that commuters, visitors, and locals are all aware of your business. Working with a strategic partner like Nomadic Genius ensures that your mobile advertising is professionally designed and visually appealing. Visual memory beats other forms of memory. Our ability to store visual patterns and images is incredible. According to the UCSB Science Line, a study revealed that when participants were “(1) asked to recall what was presented or (2) to simply recognize a previously presented item,” retention rates were notably higher for visual recognition. In other words, our ability to recall events and details is based largely on visual stimuli. 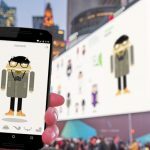 Since mobile advertising in Nashville is a visual medium, consumers exposed to your ads will be far more likely to remember them. Is your brand the first business consumers think of when they need your services? A picture is worth a thousand words – really! 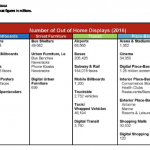 Similar to Facebook ads, outdoor advertising in Nashville minimizes the amount of text used. Images are used to enhance the message and allow the viewer to infer the essence of the brand. It’s difficult to build a strong, powerful brand without a recognizable and dynamic visual. Whether it’s through a logo or shocking image, your mobile advertising in Nashville will convey more about your brand than you can imagine. The moment we see an old-fashioned soda pop silhouette, golden arches, a tri-star logotype, or a giant white swoosh, we are able to associate these images to their brands. If a picture is worth a thousand words, then your brand’s imagery should be everywhere! At Nomadic Genius, we collaborate with you to plan and execute a dynamic, meaningful mobile billboard campaign in Music City. Contact us today to determine your perfect visual hammer to build a powerful brand.